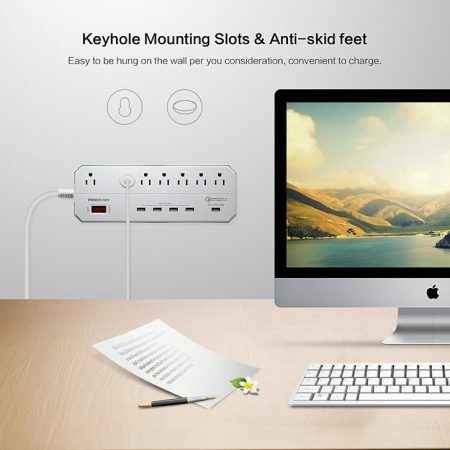 Two smart USB ports (2.4A Max): widely compatible with iPhone SE, iPad, Samsung Galaxy S7/Edge, Nexus, Kindle, Tablets etc. 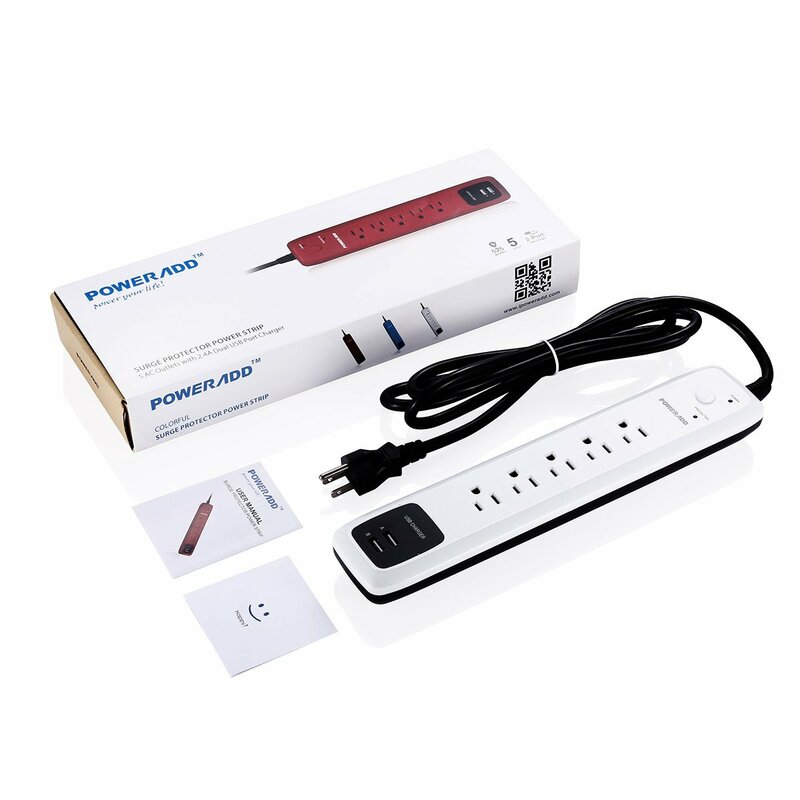 Surge protection LED indicator provides superior power protection for all your devices and lets you know it works properly. 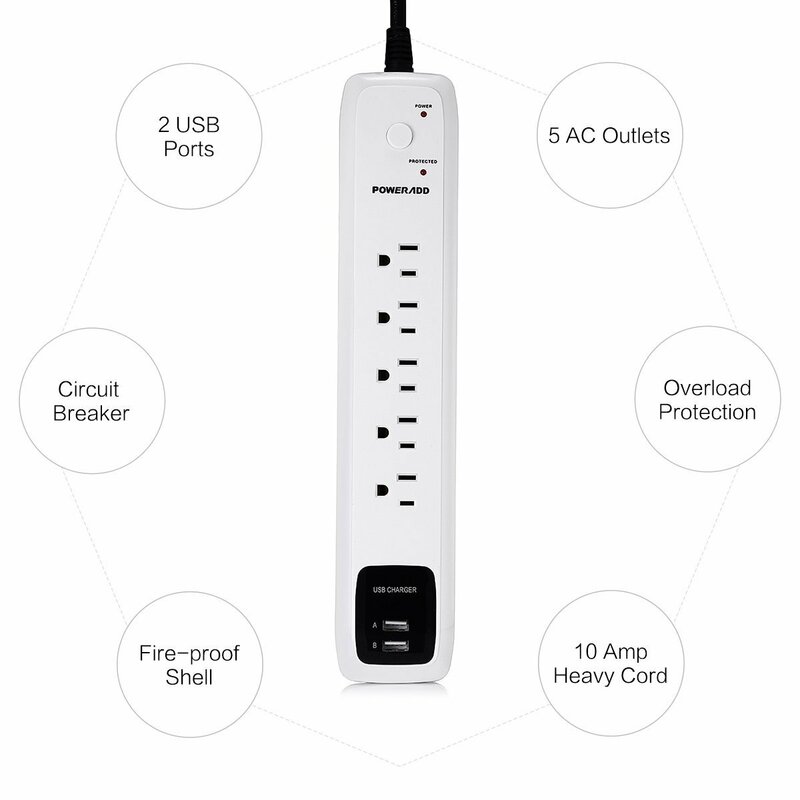 Made of 1382℉ flame-retardant PC shell and high conductivity copper, this home surge protector offers you great performance and safety. 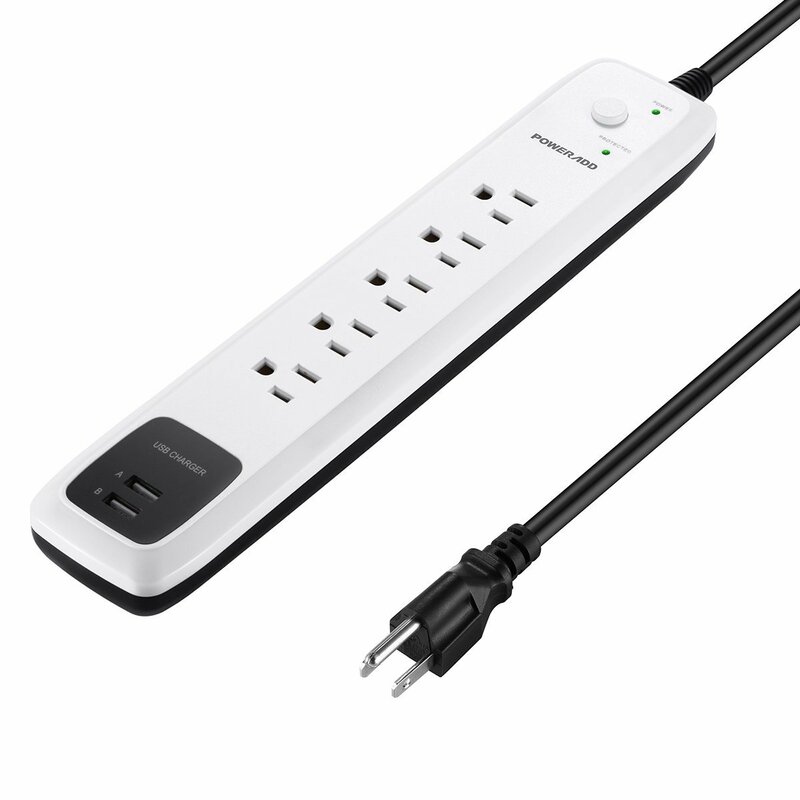 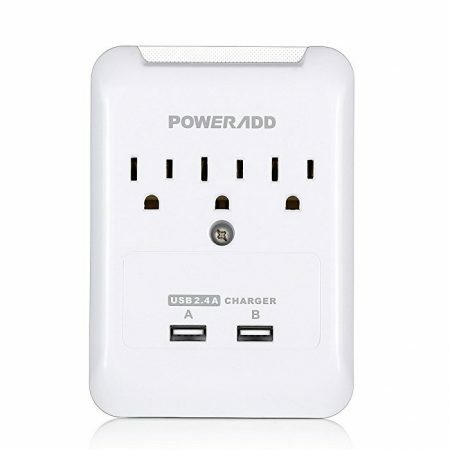 This 5-outlet power strip with USB charger works as a reliable surge protector. 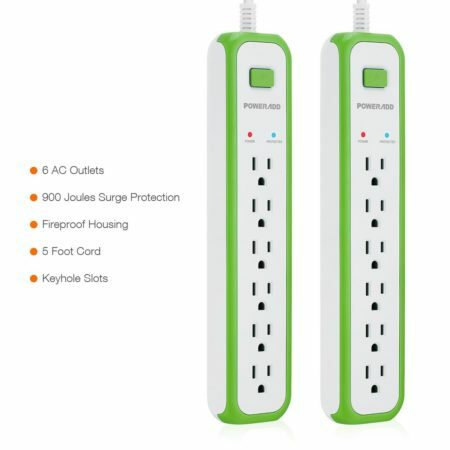 With 525 joules’ power rating, the surge protector protects your electrical appliances and USB-compatible devices from harmful and unstable voltage fluctuations, surges and spikes. 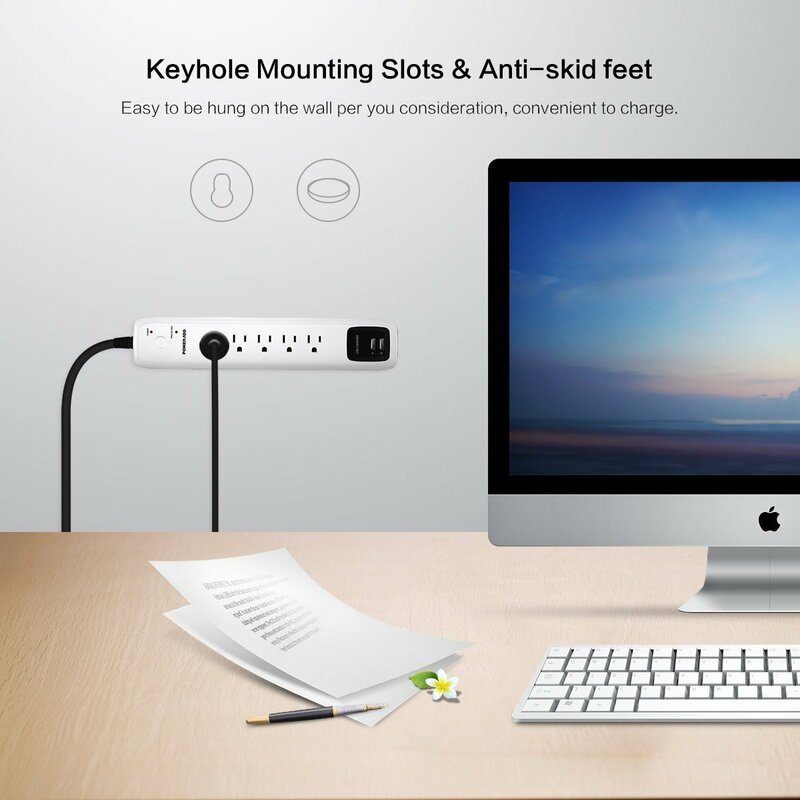 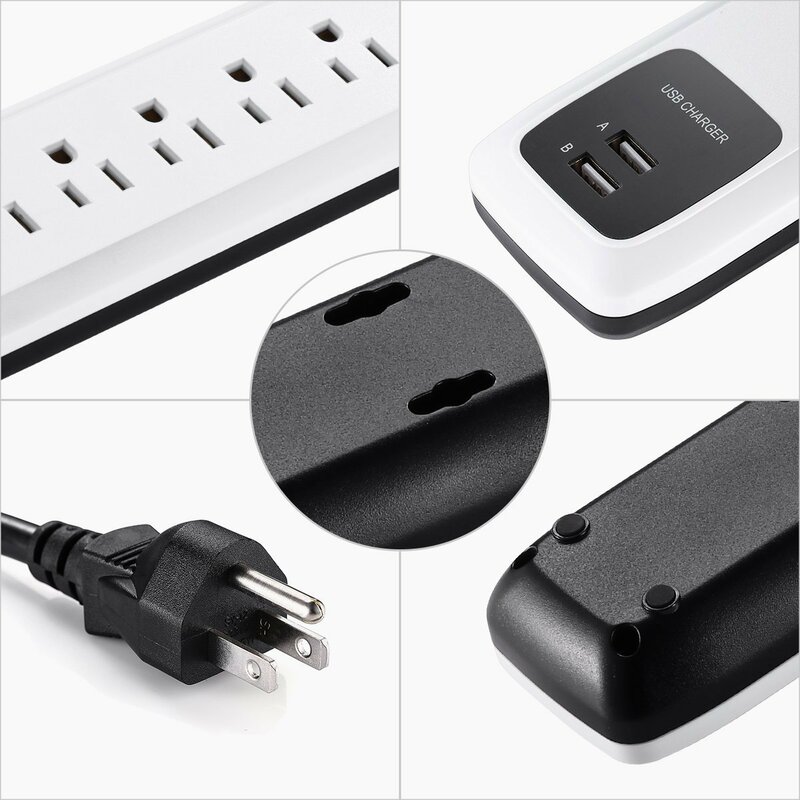 This 5 outlet power strip is well organized with an ergonomic design, allowing your electrical appliances and USB devices to connect freely without the hassle of getting too close. 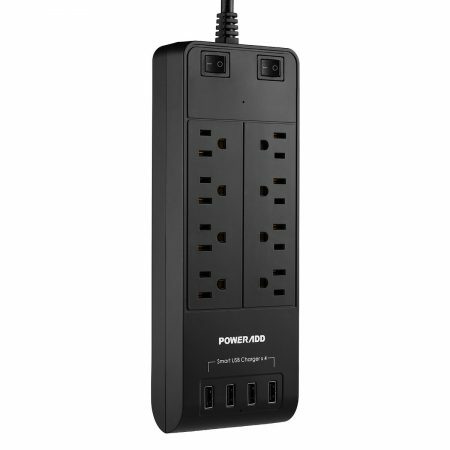 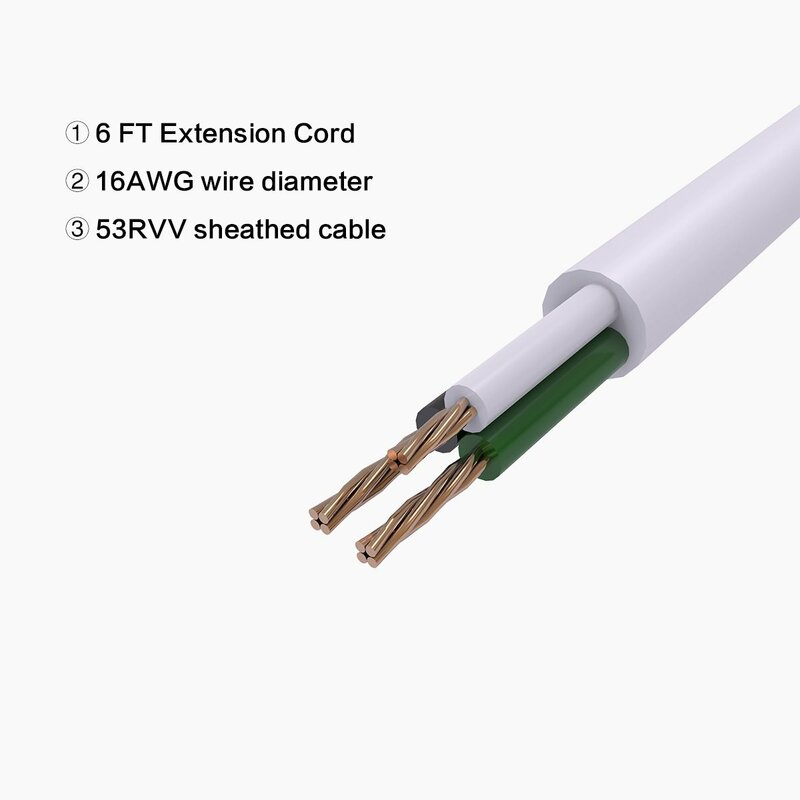 It’s built with a powerful 6-foot UL approved power cord.